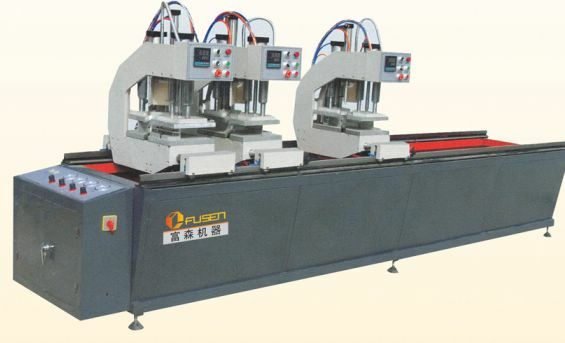 l The machine is of three heads and controlled by PC system and droved pneumatically. It’s movement stand adopts CM no-oil lubricating bearing and liner ball bearing. So it is of high precision and easy operation and convenient maintenance..
l The three heads can work individually and jointly. The machine can complete the welding skill through organic combination of four heads. l One of the heads can weld various angles, which can meet the customers need of welding an arc or other special shaped windows.